Not one but two collaborations between Lana Del Rey and A$AP Rocky. Firstly we have the video for Del Rey’s track National Anthem, from the album ‘Born To Die’. A$AP plays JFK to Del Rey’s Marilyn Monroe. It’s a mighty fine video, encapsulating the sixties feel of her music. Then there is the Kickdrums track featuring both of them. Listen to that over at NahRight. This is a brilliant idea. ASAP Rocky and Lana Del Rey have collaborated on a new track. It features the lyrics “Pick me up after school, you can be my baby / Maybe we can go somewhere, get a little crazy.” Lucky boy. There is a preview video below, with in studio footage. 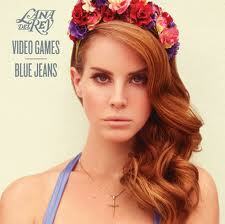 When I first heard Lana Del Rey‘s music in May last year, I listened to the iconic track ‘Video Games’ and was in awe. But while everyone else was swept along by that track five or six months later, I had discovered ‘Blue Jeans.’ It wasn’t as emotional or massive as ‘Games’, but it was really charming. Now it has a video, which perfectly captures the mood and feel of the track. Superb stuff. Bit late on this, but I think it’s worth a write up. 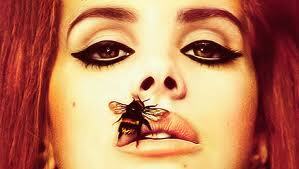 As readers of this blog will know, I have an unhealthy obsession with Lana Del Rey. Both Clams Casino and Woodkid have re-mixed Lana’s single ‘Born To Die’, adding themselves to the list which includes Damon Albarn. Personally I prefer the Woodkid version, but listen for yourselves. Of course she releases her debut very soon. Damon Albarn’s remix of Lana Del Rey’s ‘Born To Die’ has surfaced online and it’s awesome as you would expect from Mr A. You can listen below. 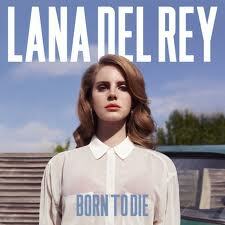 Del Rey will release her debut record ‘Born To Die’ on January 30th. I remember hearing this for the first time via Skream’s Facebook back in June and being spell bound by Lana Del Rey’s timeless voice. I could have sworn I had heard it before, it could have sung by the Motown legends of the sixties and seventies, such is the quality of her voice. Her new album ‘Born To Die’ is out next year and her name has exploded all over the net, but this is were it all started.